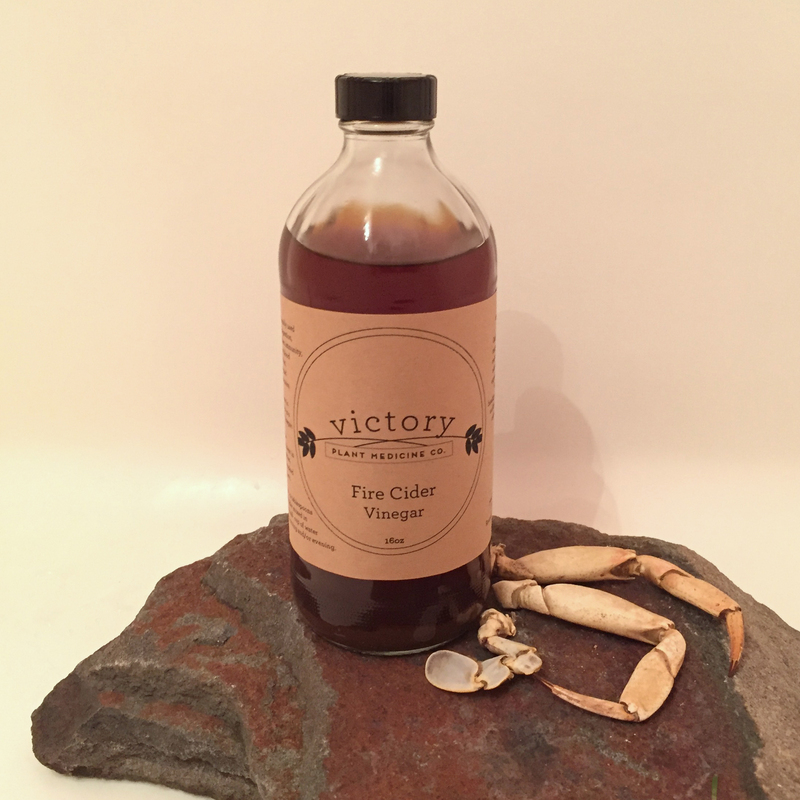 Fire Cider is a traditional remedy used to fuel digestion, strengthen the immune system, increase blood circulation, and a host of other conditions. It’s called “fire cider” because it’s spicy! I have seen it stop a coughing fit, expel mucus, and ease a “hard stomach” that could not digest food. Consume in any way that you prefer to take vinegar: as a condiment in salads, in vinaigrettes, or as a seasoning agent in soups or cooked greens. One may also take this upon rising in the morning, mixing 1-2 tablespoons of the Fire Cider in a few ounces of water. Ingredients: Organic, unfiltered apple cider vinegar infused with fresh garlic, ginger, mugwort tops (Artemisia vulgaris), onions, radish and radish tops, eggshells from happy chickens raised on small, local farms in Pennsylvania.